In the olden times, owning a car was a luxury – but over a period with the increment in the income of the people and rise to the level of the social status, buying a car has become very common. In the present situation, you would see that every household has a car, and it has become mandatory. The car has become an integral part of every household without which they cannot survive – more than this it is also a matter of status for every household to have a car. The trend has become so much in vogue that a person who has car commands more respect in the soci ety. Having a car is a luxury, and also, a great asset in case of any emergency, but when you get transferred, or you have to move to one place from another for your work purpose – you need to ship your vehicle. Earlier there were very little options to get your vehicle transported but now with the advancement in the technology and people ready to spend more money, you can get your vehicle easily transported. The most common and well-known way to transport your car is to drive it down to your required destination. 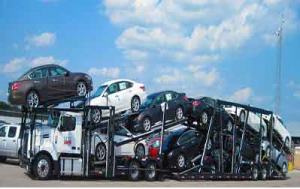 Besides this, there are many ways of shipping a vehicle – it can be done easily and within your budget. You can get them transported with the help of transport companies, which are specialized in transportation of the cars. There are many simple tips to be kept in mind while you transport your car from one place to another. You need to check the cost of transportation cost of the car from one place to another and besides this, you also need to consider the risk involved while driving the car. You need to take proper insurance while you are driving the car for long distances. Next to be considered is the wear and tear of the vehicle; you also need to pay the toll tax while you are driving your car from one place to another. You need to check whether they insure the vehicle fully – God forbid any unwanted calamity occurs. Check whether the insurance is legally available for all countries across the globe. Which are the countries where the insurance is valid? What type of trailers is used to transport the vehicle – whether they are open ended or closed trailers? Has the company shipped a similar vehicle like yours? If yes then make sure that you get the references from the past customers for whom the vehicles have been transported. Check for the timelines for getting the vehicle to the destination. When you hand over the vehicle to the shipping company, you need to take a note of any scratches, marks or bumps. Make sure you get the photos of the car right before the packing is done so that you can check for any damages that may happen after delivery of the car.